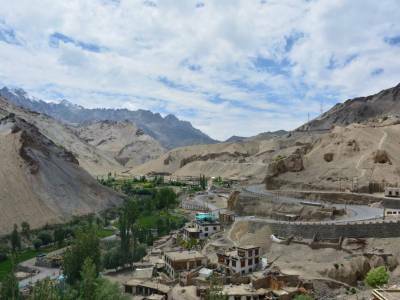 The road to Leh from Srinagar is one of the most beautiful one and on that road lays the mesmerising town of Lamayuru. The trip to Srinagar itself is one of the most dramatic travels and the extension to Ladakh through there is a trip full of surprises. People from all over Indian sub continent visit the state of Jammu & Kashmir to experience the paradise on earth. The road led form Srinagar is a special one where one witnesses the moon land. It is not any folklore but true. 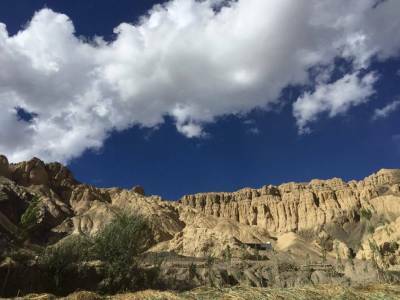 Some place on the national highway 1D has a characteristic landscape that portrays like that of the surface of the moon, thus the name moon land. It is just right after the Fotu La Pass on the NH 1D that one will find the modest town of the Lamayuru. 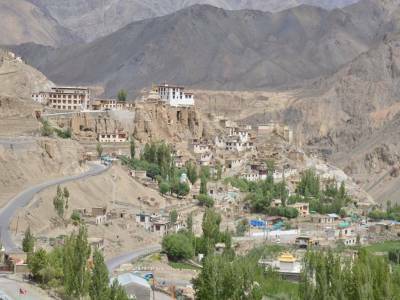 Lamayuru village town is situated about 137 KM from the Ladakh's capital city, Leh and is midway between Leh and the Kargil town. The main attraction of the Lamayuru town is without a doubt the moon land feature. The question is that what a moon land is. The landscape of this region is so surreal and dries that mountainous topography of this parts depicts the roughness of the surface of the moon. The dried out lake near the Lamayuru town is an additional natural touch to the moon like landscape. 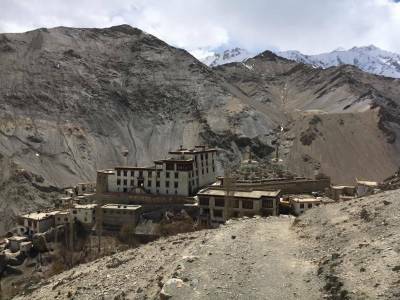 The Lamayuru is a old village town on the outskirts that holds one of the oldest Buddhist monasteries of Tibetan origin. The Lamayuru is a special town with moderate population and picturesque white block house filled town. 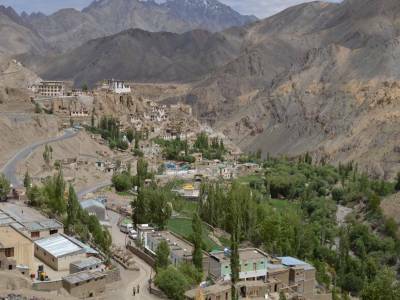 The visitors to the Lamyuru village town on-route to Leh or Srinagar most definitely take halt or stay overnight in this town to enjoy the tranquillity of the nature along with the vibrant culture of the local population. Get quick answers from travelers who visit to Lamayuru.